TrishyB says: Tutti frutti ice cream! Did you even know that there was a huge shipping trade in ice in the late 1800s? Me either. Would you have said such an idea was crazy? Me too. But there it was. 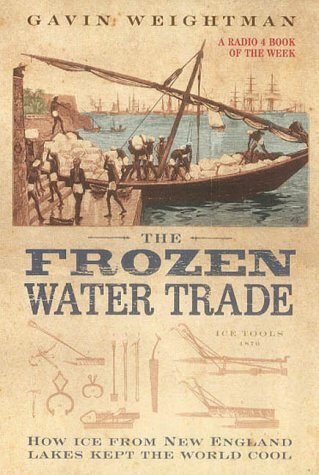 And Gavin Weightman's The Frozen Water Trade is the book to tell you all about it. I liked this book enormously, even though the subject matter is a little dry. Like a lot of overnight sensations, the ice trade took a very long time to be take seriously, but once it was up and running, it took its inventor out of debt and was making him $40,000 a year in profits. Ice was sold as far away as India, and it is this trade that explains why American drinks are so much colder than ours, and why they call their fridges ice boxes.Shipping, commerce, the industrialisation of America, it's all here in a very compact 200 pages. Recommended.